Passes are also extra, price depends on your holiday duration. 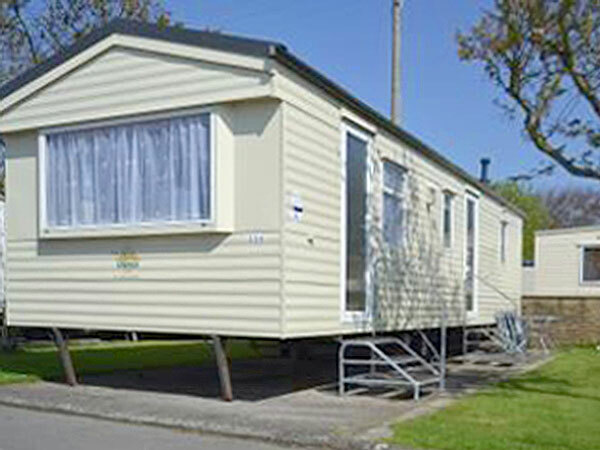 Blue Haven is a privately owned 3 bedroomed caravan located on the Sandy Glade Holiday Park in Brean, Somerset. 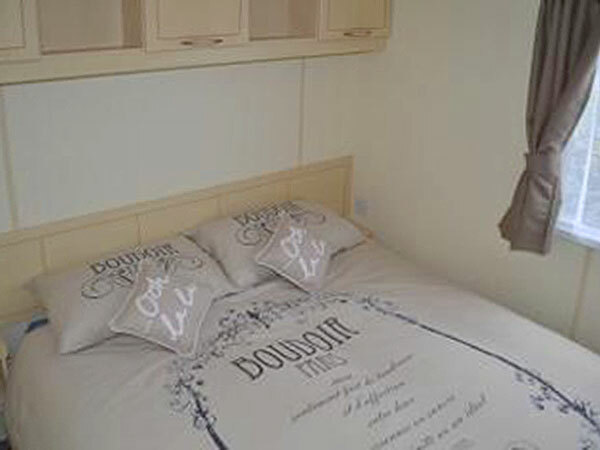 Located just a short walk to the on-site entertainment complex, you are within easy reach to the shop, kiddies park, indoor pool and other onsite facilities.The caravan offers 3 bedrooms which can cater for up to 6 persons (1 double room, 2 twin rooms). 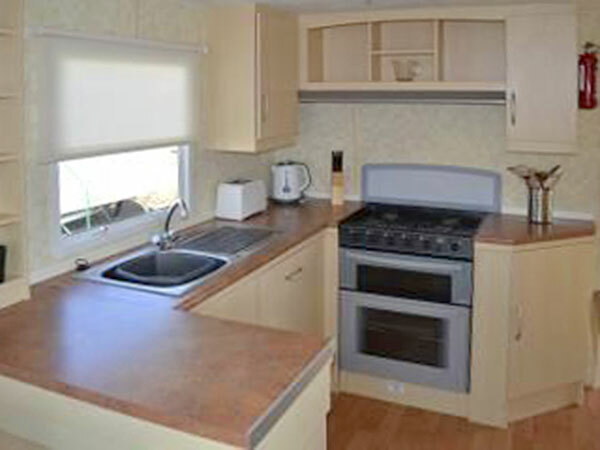 The kitchen area includes all that most guests require for self catering in a caravan. A fridge is included as is a cooker, toaster, kettle and microwave. All cooking utensils together with pots and pans are included as standard. There are various car parks on the site of Sandy Glade, which you can use for free. 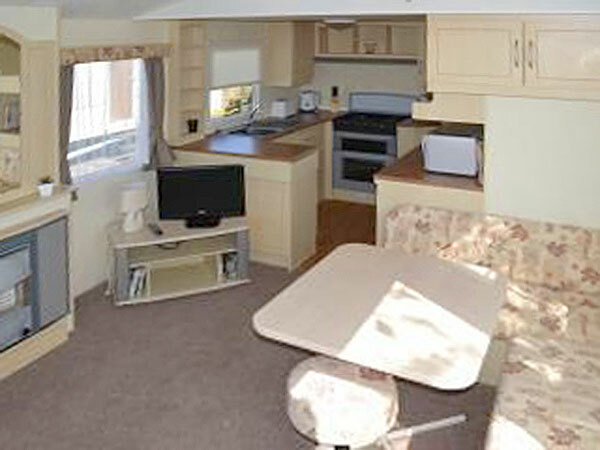 There is a car park directly behind the caravan and a further 2 car parks within just a few seconds walk of the caravan plot. Guests are NOT permitted to park outside of the caravan, other than to unload. In any case cars are NOT permitted on the grass alongside the caravan. The beach is a short walk via sand dunes, which is over the road to the main park entrance. 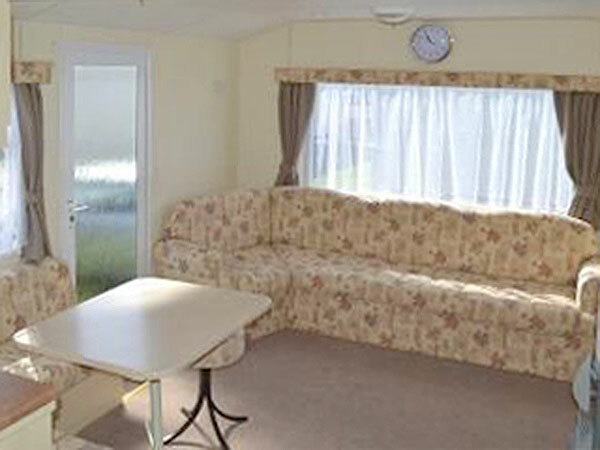 As a privately owned caravan, we personally attend the caravan to manage all check in and outs (please do not go to the Sandy Glade Holiday Park Reception as they cannot help with check in). Pass are also extra, price depends on your holiday duration. 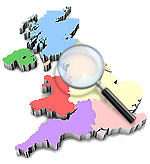 When booking a holiday online a deposit of £100 ( Non Refundable) will secure your booking. Your holiday is confirmed when payment is made. Once full payment has been made we will send you confirmation and direction to the caravan. The holiday park is primarily for family holidays and for this reason we have a number of conditions about the make up of your party. These are designed to make sure all our guests and other guests on the park enjoy their holiday. Only those people listed on your booking confirmation/check in form can occupy your holiday home and we can require anyone not listed to leave the park/caravan. In the event of any un-authorised use of the caravan or change to the party then we reserve the right to cancel the holiday without notice. 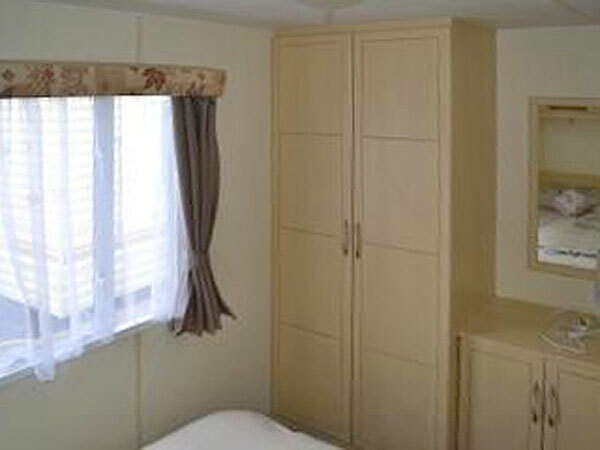 Guests with disabilities are welcome at our caravan. If your party includes someone with special needs you should tell us about this before you make a booking so we can advise as to whether the accommodation may be suitable for you. 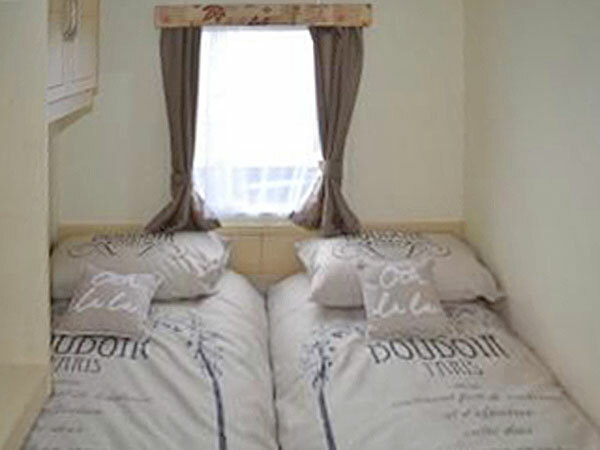 If you don't tell us we can't be responsible if the accommodation is not suitable. If you do have special requirements please let us know. Please note that the caravan is not wheelchair friendly. Pets are not permitted in our accommodation under any circumstances with the exception of Guide Dogs/Assistance Dogs (evidence of regisitration will be required). Should we establish that a pet has been present in the accommodation then we may terminate the holiday without notice and levy a valeting fee. The valeting fee will vary depending on the type and nature of the pet. In any even the security bond may form part of payment towards such a fee. In addition the park has strict rules with regards to being exercised off the park and kept on a lead. For health and safety reasons some of the parks facilities may have age and/or height restrictions. Please check these when you book. Children must be supervised by an adult in the swimming pool. At busy times access to facilities may be restricted and the closure of any facilities, howsoever caused, is out of our control and is at the discretion of the park owners. Entertainment passes are included in the price, however there is an extra cost for swimming pool passes. As our holidays are primarily for families your behaviour should be appropriate and should not be noisy, offensive or likely to cause any harm to other guests, staff or property at the holiday park. If we feel your behaviour is illegal, offensive, disruptive or inappropriate we will ask you to leave the accommodation. In these circumstances no refund will be given. Furthermore, the owners of the park have the right to exclude those whom it believes have breached the parks conditions of acceptable behaviour. Details are available from the park owners. Very occasionally, in exceptional circumstances, we may have to cancel your booking. If we do so we will tell you as soon as possible and you can choose either to have a full refund or accept any alternative arrangements offered to you or book another holiday with us at the brochure price. If we have to cancel because of circumstances beyond our control (e.g. fire, theft or flood) we will pay a full refund. If we cancel we will have no further liability to you for this. Whilst every care is taken to ensure that the details in advertising, including any promotional emails, are correct at time of being published, we cannot accept responsibility for errors contained therein or results thereof. We are not responsible to you for unforeseen events or matters over which we have no control. When booking a holiday online a deposit of £100 will secure your booking. Your holiday is confirmed when payment is made. Once full payment has been made we send you confirmation and direction to the caravan. Pets are not permitted in our accommodation under any circumstances. Should we establish that a pet has been present in the accommodation then we may terminate the holiday without notice and levy a valeting fee. The valeting fee will vary depending on the type and nature of the pet. In any even the security bond may form part of payment towards such a fee. In addition the park has strict rules with regards to being exercised off the park and kept on a lead.